While there are a number of excellent, progressive publications across the country, there is a significant lack of regionally based progressive publications that focus on local, state, and regional issues. 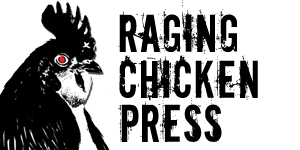 Raging Chicken Press seeks to fill a gap between dynamic local and regional activist organization on-line (blogs, facebook, twitter) and more nationally focused progressive publications. We want to turn what started as a one-person operation into a sustainable progressive media site for Pennsylvania and beyond. The funds raised from this campaign will help fund three paid internships, an annual “Best of Raging Chicken Press” book (both paperback and eBook), paper “Broadside” edition for distribution, and the expansion of our audio and video contributions. In addition, we will be able to begin to build toward our goals of establishing a Community Advocacy Institute, a small progressive publishing house, and a brick-and-mortar presence in Kutztown, PA.
From the outset, we’ve seen Raging Chicken Press as more than another on-line publication. We see the potential to be an organization that provides opportunities for the next generation of progressive media activists and citizen journalists to gain practical experience. In short, we see what we do as part of the necessary work of building a powerful progressive movement. And we need your help to make this happen. We want to follow a model of community supported media and avoid relying upon advertisements to fund our work. Yes, we really do need you to make this happen. Obviously, we’d love for you to contribute to our fundraising campaign. Check out our fundraising site for suggested levels of donations plus a whole range of thank you gifts we will send you for contributing as specified levels. Don’t worry if you can’t give a lot. Every little penny helps. Ideally we can raise funds from smaller donations from a large number of people. Again, the goal is to be a community supported organization that does not have to rely upon advertisements for revenue. The suggested donation amounts listed on our fundraising site are just that, suggestions. You can contribute whatever you can (minimum of $2.00). Even if you can only spare $5.oo, that will help. Even better, at check out you can choose to spread your contributions out over several months. For example, you could choose to contribute $5.00/month for 12 months = $60. 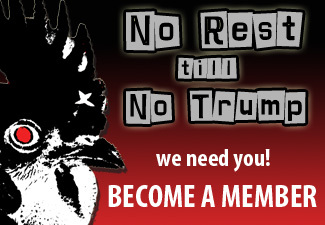 In fact, in the near future we will be setting up a membership option that will ask members to do just that. 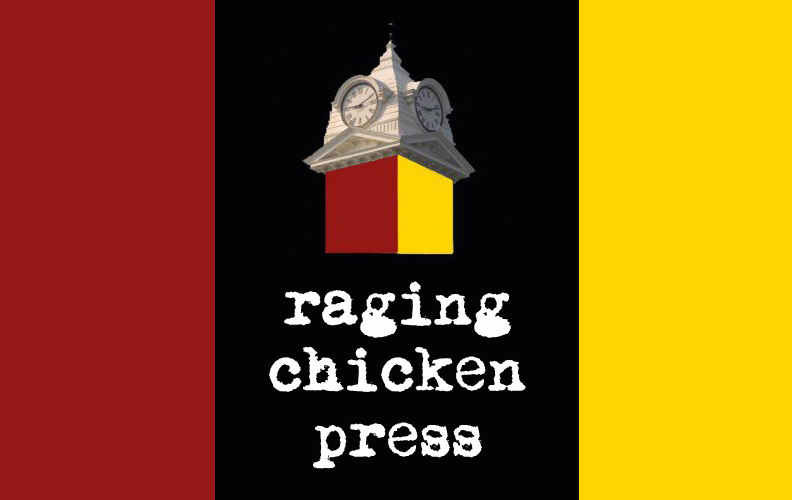 Even if you can’t make a contribution, you can still help out tremendously just by spreading the word, telling people about Raging Chicken Press, and encouraging them to make a contribution. You can help by publicizing our fundraising campaign through facebook, twitter, and blogs. Really, everything helps. You can also help support our work by using some of our affiliate links on the right-hand side of our webpage. For example, if you click on the Amazon.com box you will be taken to the Amazon.com web page. 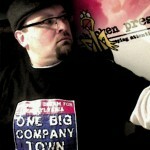 By using that link, Raging Chicken Press will be given at least 6% of everything you buy. And here’s the bonus: it will not cost you a penny more than if you had not clicked our link. A few readers have already made use of our affiliate links and it helps quite a bit. Best thing you can do is click on the Amazon.com (or other) affiliate link and bookmark it on your browser and use it every time you shop. 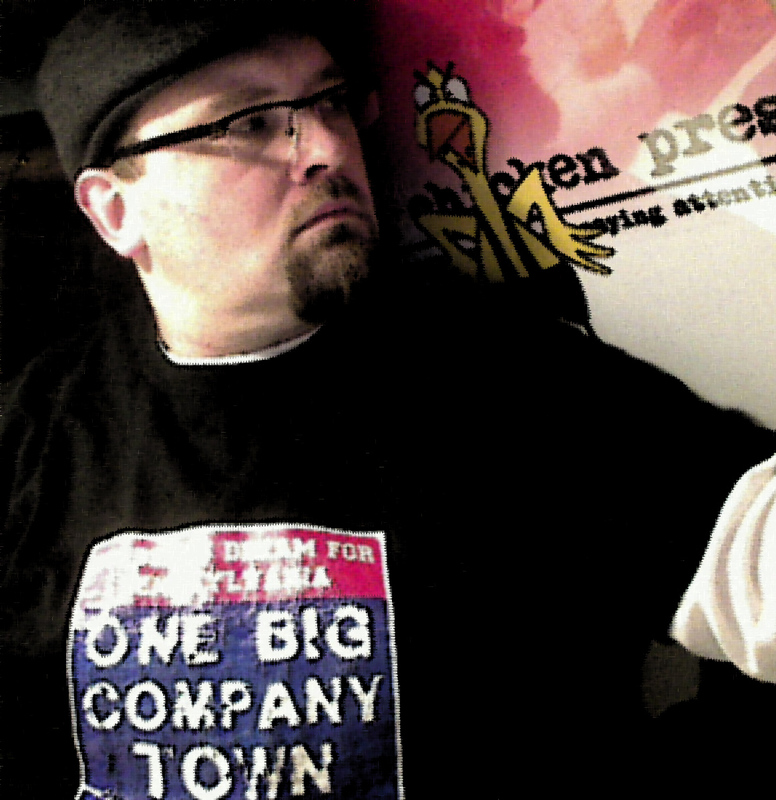 And, of course, you can always pick up cool, progressive stuff at the Raging Chicken Press store. 10% of all purchases at our store go directly to help support our work. You can find t-shirts, posters, stickers, bumper stickers, mugs and more. If you have suggestions for other fundraising ideas, I’m all ears. I’ll do whatever I can to make Raging Chicken Press a strong voice in support of progressive, activist politics in PA and beyond.